Creating inclusive college opportunities in Colorado for individuals with intellectual disabilities. The Summer Social is not your typical suit and tie event. Showcase your school pride at IN! 's tailgating party and raise funds to support college opportunities for students with intellectual disabilities. 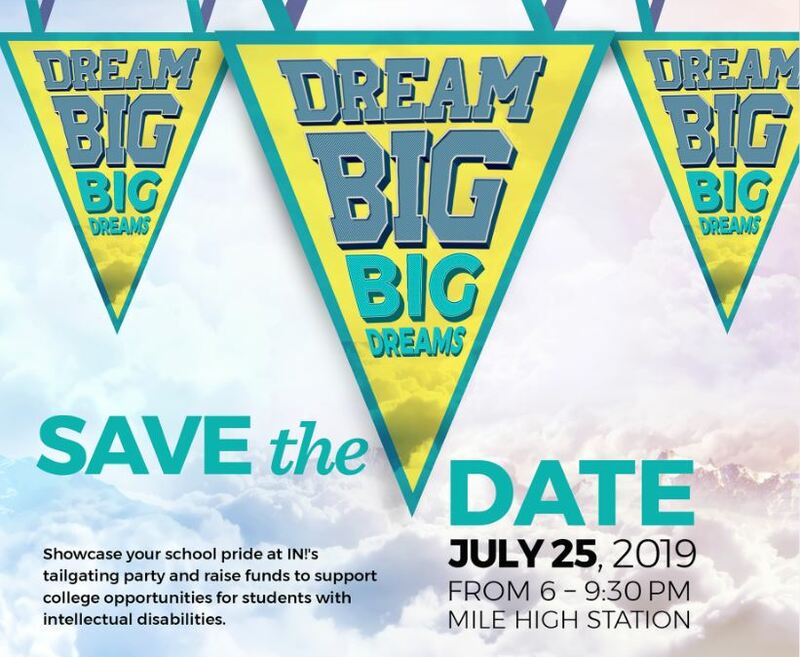 Join us on July 25th, 2019 from 6:30-9:00 at Mile High Station, for a family friendly evening of tailgating themed fun with school spirit, games, food, drinks and dancing. Can't wait to see you there! I am unable to attend, but would like to make a donation. Thank you to our sponsors! Information is below on how you could become a sponsor. One table for 10 guests at IN!’s Summer Social. Listing on IN!s website to include the sponsor pages for 12 months.